Wakatere was built for Ports of Auckland Limited in 2015. The vessel was designed by Teknicraft Design Ltd. 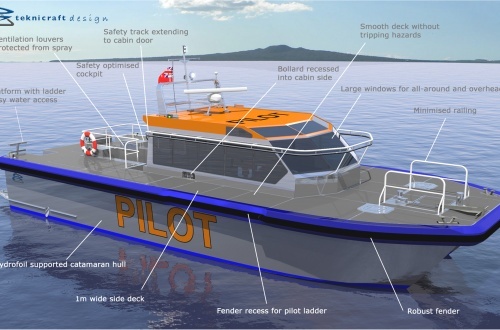 This is the first pilot boat built from Teknicrafts foil assisted catamaran design at Q-West and the first vessel built for this client.